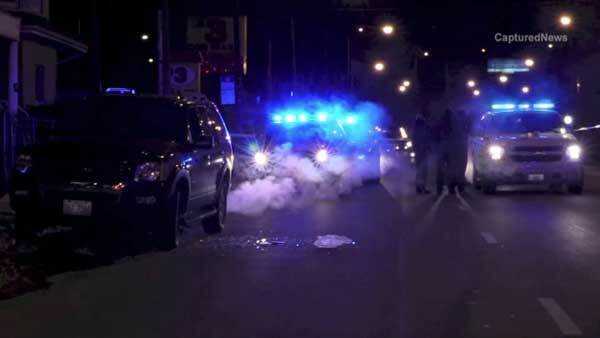 CHICAGO (WLS) -- Police are investigating a deadly drive-by shooting in Chicago's Logan Square neighborhood. A 31-year-old man was sitting in an SUV near West Fullerton and North Damen avenues when police said a gray pickup truck pulled up around 11:40 p.m. Thursday. Someone inside the truck allegedly opened fire. Police said the man in the SUV was shot in the head. The victim was taken to Advocate Illinois Masonic Medical Center, where he later died. Authorities have not released the man's identity. "I was just sitting, watching TV. Out of nowhere I heard three or four gunshots. I came out here and saw a bit of a commotion. I saw some guys running back and forth freaking out. The next thing I know, I've got 20 cop cars outside the house," said Branko Filimonovic, who lives near the scene. Police are investigating the shooting. No one is in custody.